Longtime game designer Justin Gary has the answers you seek. 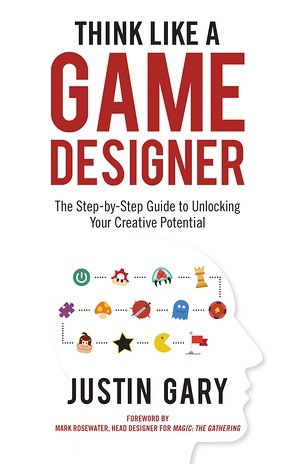 After twenty years in the gaming industry, creating such games as Solforge, Ascension, and the World of Warcraft Miniatures Game, Justin is now sharing all his secrets in Think Like a Game Designer. your own game concepts and bring them to fruition. discover how a true creative mind works, it's all here in Think Like A Game Designer. It's time to take the first step toward your game designer dream.